USA webmasters abroad must be savvy and prove or verify his site is a USA web site in many ways, and do your best to not digitally prove outside USA. So you want to work on Internet web sites from foreign countries, this could be the kiss of death. Your site could be defined by Google as owned by a person in Thailand and you will have no traffic inside the USA. If you Webmaster is from a country outside the USA, this is the kiss of death for Indexing or Traffic is you are not extremely savvy and stop the foreign webmaster from doing many things. 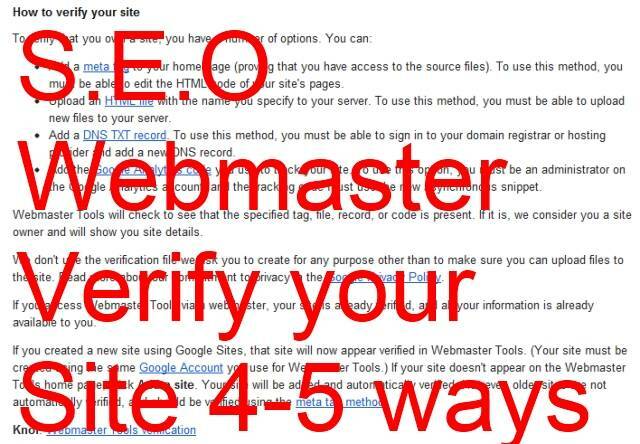 Go to Google Webmaster Tools and click on verify your site and verify in all possible ways while still in the USA, and with a USA IP address. Or, if you want you can set up an VPN, or a computer at home and remote access. "You are already a verified owner of hobotraveler.com. Verifying with more than one method will make your ownership more resilient." The normal mistake people make in their understanding of SEO - Search Engine Optimization is the word, "Optimal." It means to never do the less, always do more, to do the optimal amount of work, to never do half measures. Bottom line, do all four to be resilient, and I think a VPN is not needed, unless you have more than a dozen works. What we need to do is to pretend to be fat nerd sitting up stairs in a house working on web site 24/7. The normal problem is also to do no research, but think you know, I am quoting Google Tools.